A YouGov study of more than 1,000 residents, commissioned by MEPRA, looks at advertising as a source of information. When it comes to online, brand websites scored higher than both media and advertising for trustworthiness; 53% of respondents said they trust corporate websites. As MEPRA board member Alex Malouf explains, this means that users find a brand website more credible when they’re looking for specific information – such as product specifications – about a product or service. However, for reviews, they trust a third party more than a brand. ALSO READ: What’s the most trusted source for news on products and services? Facebook is by far the most useful source of information for goods and services, with 52% of respondents using the site to know more about brands. 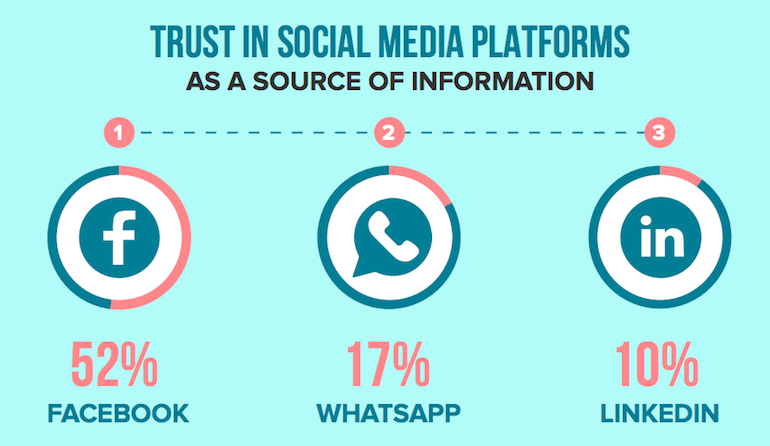 The study, which counts WhatsApp and LinkedIn as social media platforms found that WhatsApp was second, at 17%, and LinkedIn was third, with 10%. However, more than half of respondents (57%) said they trust advertising less today than they did five years ago.